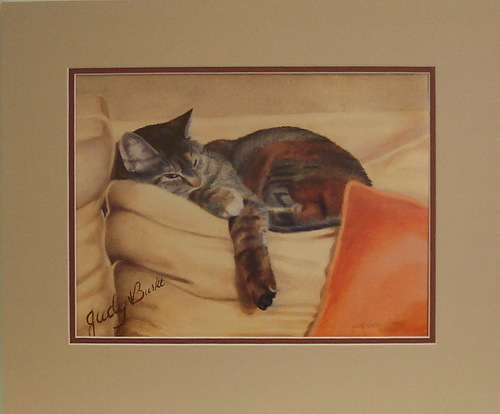 Catnap by JJ Burke Crowley is a limited edition lithograph size 12″ x 9″ limited to 1000 s/n prints. 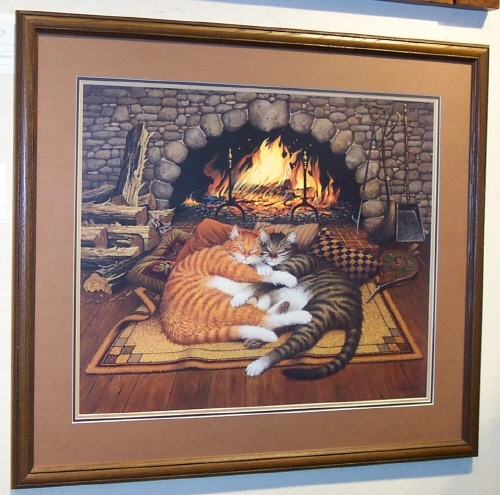 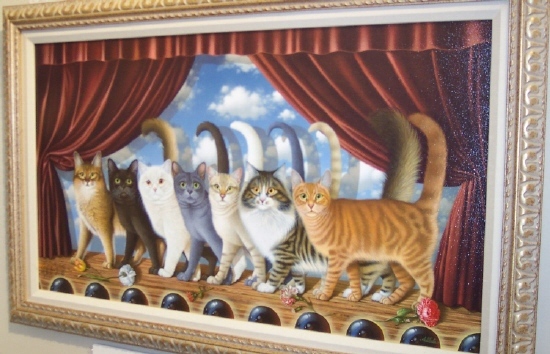 Archaically matted with two mats, backing and plastic wrapped, the overall matted size is 16.9″ x 14″ ready to frame. 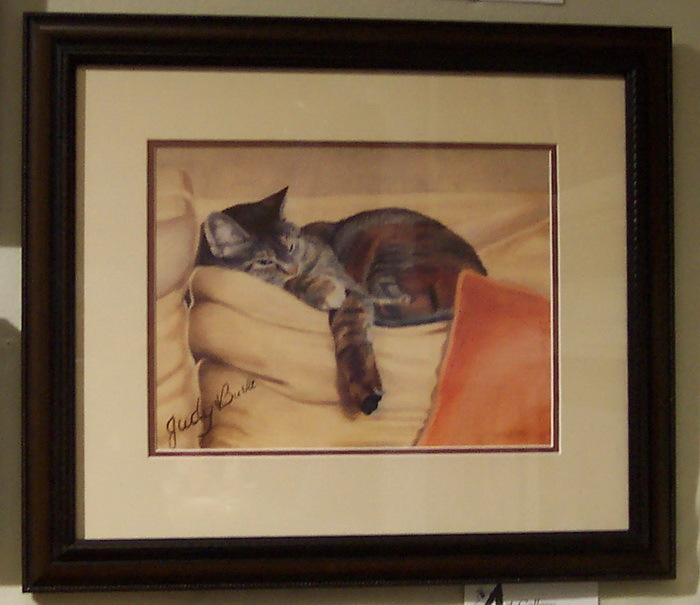 Also see listing for unframed and framed print.